Teenage drivers are killing or injuring hundreds of their young friends and family each year. In 2013 – the latest year for which figures are available – 234 teenage car passengers were killed or seriously injured in Great Britain when the young driver (17-19) they were travelling with was involved in a crash. This is more than four each week. When casualties of all severities are included the annual figure rose 2,144 or around 41 each week. The numbers were calculated by the RAC Foundation using MAST Online. Previous research for the RAC Foundation by TRL shows that while teenage drivers (17-19) make up only 1.5% of full licence holders they are involved in 12% of accidents where someone is killed or seriously hurt. One in five newly qualified young drivers will have an accident within six months of passing their test. “The coalition government repeatedly promised to publish a green paper on young driver safety and repeatedly failed to do so. In the meantime young people have continued to die. We would urge the new government to do what the last one did not and debate the subject formally and publicly. “The casualty figures do not cast blame for accidents, but given the disproportionate number of young drivers involved in accidents the conclusion must be that many teenagers are being killed by the inexperience of their friends at the wheel. “Factor in casualty figures for young drivers themselves and other people who might be involved in these accidents and the scale of the problem only gets bigger. “It is a great disappointment that successive governments have failed to tackle an issue that is causing so much physical and emotional pain. “If this was any other area of social and health policy there would be debates in parliament and marches on Downing Street, but for some reason society seems to tolerate the carnage on our roads particularly that involving young people. 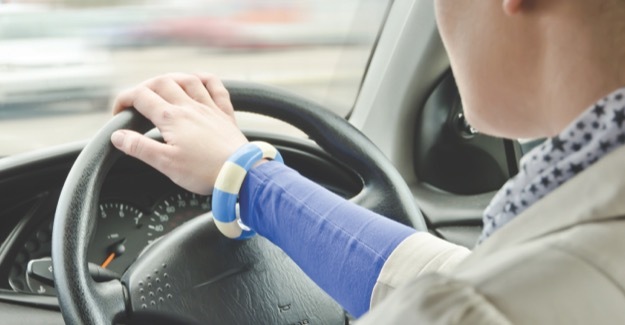 “The increasing take-up of telematics-based insurance may help cut young driver accidents but graduated licensing has shown consistent promise around the world. This table breaks the figures down by police constabulary across England, Scotland and Wales.